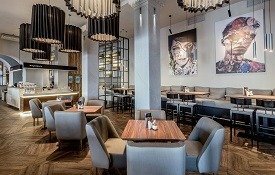 Restaurants in Minsk. 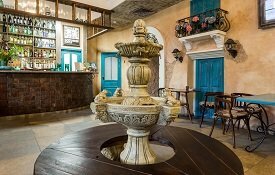 Best cafes in Minsk. 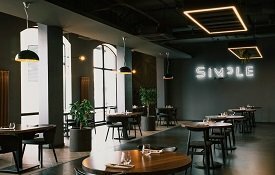 Restaurant business in Belarus has taken the country by storm. 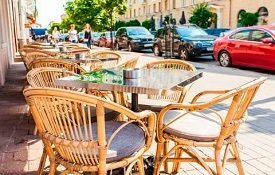 Numerous cafes and restaurants are doing their best to please choosy guests and the variety of dishes on the menu makes cafes in Belarus the ideal place to experience both national spirit and cuisine. 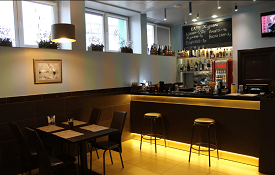 Cafes in Minsk stay busy during the day, especially at lunchtime and in the evening hours. 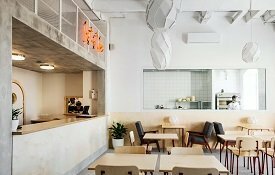 From one cafe to another the dishes differ a lot so anyone has options to choose from. Cuisines from all around the world are widely presented in Belarussian capital. 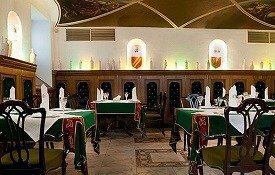 Countries like France, Italy, Spain, Cuba, Turkey, Iran, Azerbaijan, Russia, Ukraine, China and Japan send their best chefs to promote their country’s national cuisine and share experience with Belarusian chefs who in their turn have succeeded a lot in the art of cooking by primarily preserving the original ancient recipes passed through generations. Exquisite cuisine accompanied by live music is a true magnificence to be savored in a restaurant. 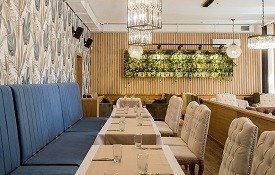 Minsk in rich in restaurants that will please any taste and wallet. 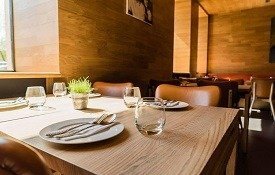 Chefs cook their specialties that are definitely worth trying. 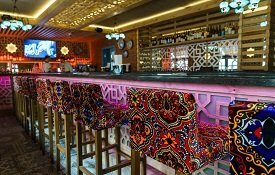 The best restaurants in Minsk can boast of superb location and artistic interior design as well as multi language service. 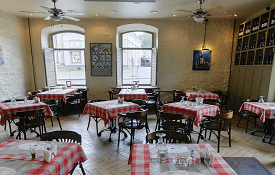 Here you can relish a romantic evening or a cordial meeting with an old friend. 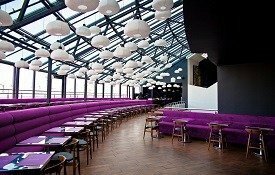 There is a dozen of top restaurants in Minsk with spectacular view of the city. The most splendid panorama is of course from the restaurants located at the top floor of the buildings that give a bird’s-eye view. Most of them look out on the historical center of Minsk – the Trinity Suburb – and are situated at Nemiga. At night city lights entice into staying fascinated by Minsk and its calmness, cleanness and warm-heartedness. 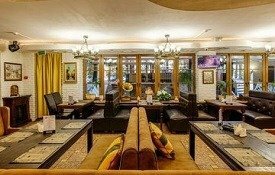 Restaurants in Minsk and cafes are the best places to start exploring Belarus and Belarussian national cuisine, have a business meeting or lunch, get acquainted with history, culture and architecture of the country and meet with friends and savor the moments spent in the geographical heart of Europe — Belarus.